Are you interested in replacing your wood-burning or gas fireplace with a modern electric unit, but worried about the installation? 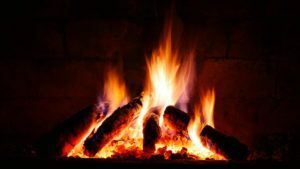 First the good news: installing an electric fireplace insert, whether a log insert or a firebox, is usually very easy. You normally won’t need to a lot of tools, and it won’t take all day. In this installation guide, we explain the most common tasks involved and the tools you’ll need. We also point out where you may need the help of a professional installer, if needed. If you are shopping for an electric fireplace insert, then check out our reviews of today’s best sellers. If you are not sure where to start, then read our buying guide to learn everything you need to know about electric fireplace inserts. First Things First: Take Good Measurements! 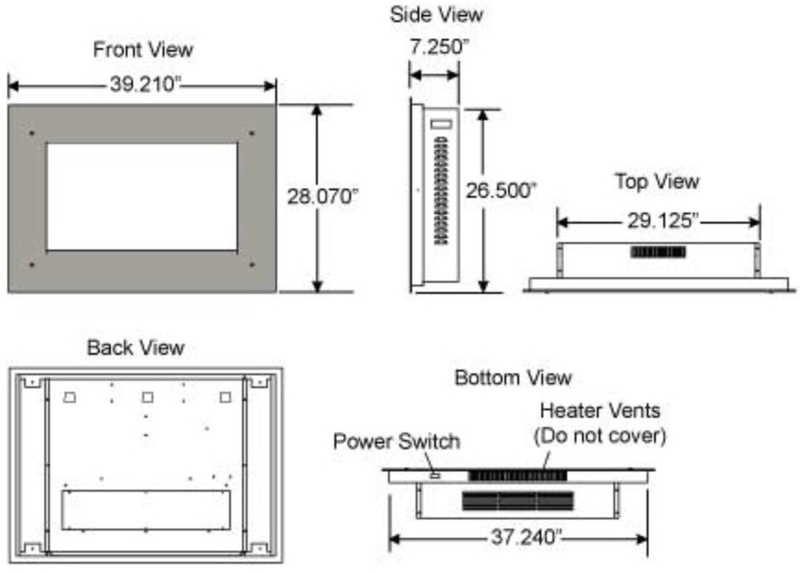 Almost every time someone has trouble installing an electric fireplace, it’s because the measurements of their existing fireplace and the insert they buy don’t match. So, before you place an order, double-check your measurements to make sure the insert you choose will fit correctly in your fireplace. 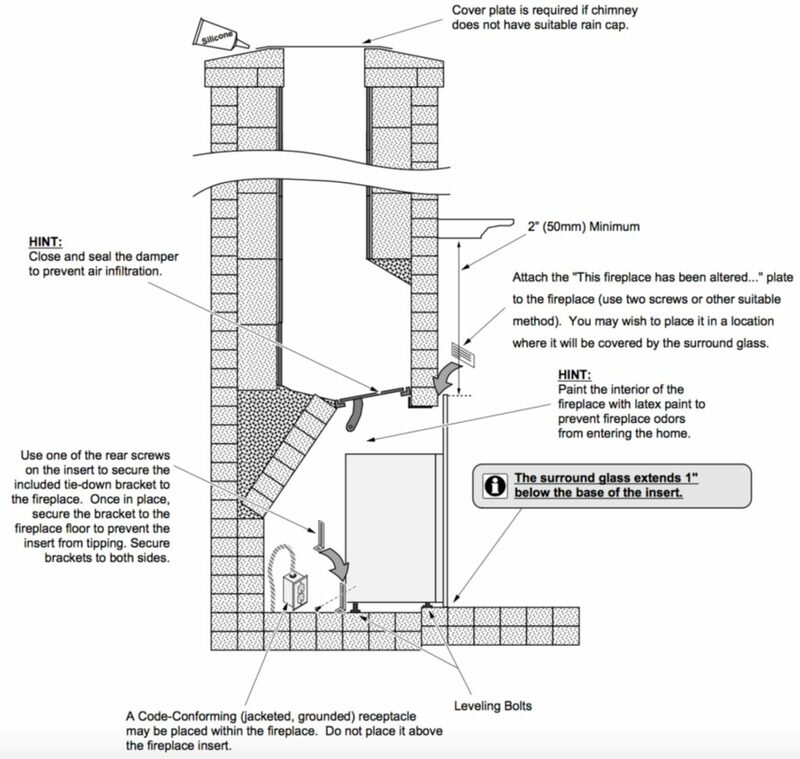 Using a tape measure, measure the width, depth and height of the existing fireplace opening. Compare the measurements with the insert dimensions provided by the seller. Note that most fireplaces get narrower, as you move further back into the space. So make sure there is sufficient depth for the insert to fit near the back, before the fireplace tapers too much. When comparing the dimensions of the fireplace to those of the insert, they don’t have to be an exact match. It’s okay if the fireplace insert is slightly smaller than the existing fireplace. You can still install the insert and make sure it looks neat. If you need to, you can purchase a frame from Home Depot to cover the gap. You can also work with a slightly larger insert as long the size issue is with the trim, not the firebox. Once you have your fireplace insert, it’s time to get down to work. Note that the following instructions are general. Consult your manual for accurate instructions for installing an electric fireplace for that particular brand. If there are any installations such as fireplace doors, grates, blowers or screens, then carefully remove them. If there is an electrical outlet – leave it in place. You may need it. 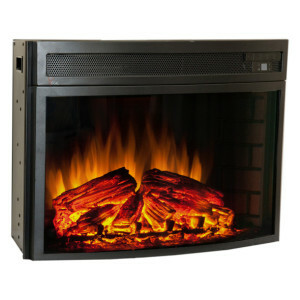 An electric fireplace insert for an existing fireplace doesn’t require typical fireplace accessories such as a blower. So go ahead and remove that & make sure the fireplace is entirely bare, to ensure the insert fits. With all that out of the way, clear out any debris in the fireplace. Use a hard brush to get rid of anything that’s stuck to the walls. You may need a more thorough cleaning process if your fireplace is dirty. Electricity and water don’t go well together. If your chimney doesn’t have a rain cap or if it occasionally lets in rainwater, you want to take care of that before installing an electric fireplace. Even a little water seepage could damage your electric insert and create a fire hazard. 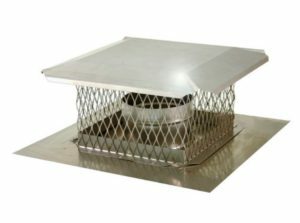 To guarantee no water will get in, hire a pro to install a rain cap, sometimes called a chimney top plate, on your chimney. The damper is used to seal and open the opening of the fireplace into the chimney. It is essential when you are using a wood or gas fireplace, but a damper has no purpose, when you use an electric fireplace insert. In fact, it could waste energy by letting in cold air and letting heat escape up the chimney. Instead of just closing the damper, seal it in such a way that it is airtight and there is no heat escaping through the damper edges. There are several ways to seal the damper. You can buy a dedicated fireplace sealer, use an inflatable pillow or use plywood and foam pipe insulation. Before you install your insert, you’ll need to decide where you are going to draw your electric power from. Most electric log inserts are powered by a standard home outlet, and you can simply run a cord to the nearest outlet. But if you don’t want a wire snaking out of your fireplace, then you’ll need to get an electrician to install a properly-grounded power outlet on the inside of your fireplace. Make sure they install the outlet low on the wall – not as high the heating unit. All that remains is sliding in the firebox or log insert into your fireplace and installing the trim (if needed). 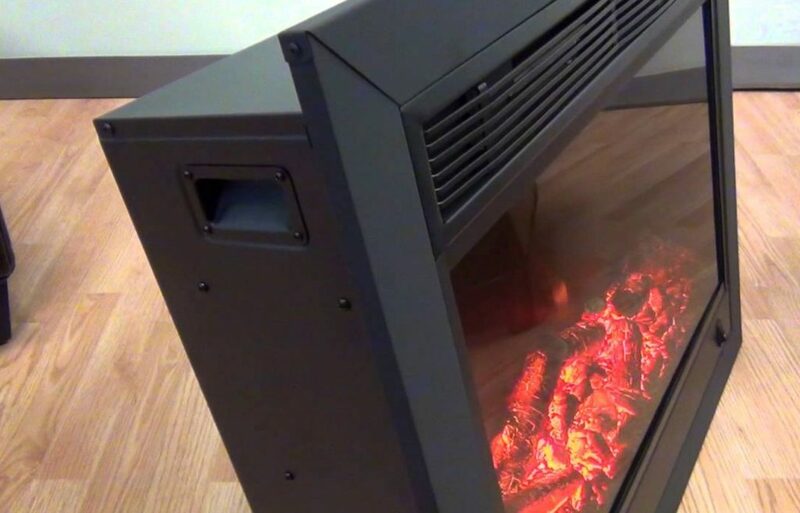 Plug in your new fireplace insert and test all the features and functions it comes with. Make sure it produces an excellent bright flame, and the ember bed is working as advertised. Also check that the remote control. If you spot any problems, check the troubleshooting guide in your product manual. If that doesn’t help, call customer support. To install your trim, just follow your manual’s instructions since different brands will vary in how they are set up. Almost all fireboxes use a separate trimp unit to hide gaps on the sides. If the accompanying trim is not enough, you can make your own trim using plywood or sheet metal. If your problem is a large gap at the top, you can place a block under the fireplace unit to rest on. The final step is to attach the trim. Trim comes in different materials and finishes. Some fireplace inserts are sold with several trim finish options. Most come with just one trim option. You can also make your custom trim using a variety of materials. This 6-minute video of a homeowner installing the popular Dimplex Log Set Insert shows how all of the work described above looks, in the real world.